Facebook’s much publicized IPO will make founder and CEO Mark Zuckerberg a billionaire, but it could also land him with a staggering $2 billion tax bill as a result of his plan to exercise stock options that would increase his number of Facebook shares. The 27 year old founder of the world’s largest social networking site currently owns around 414 million shares in Facebook, but also holds options to buy a further 120 million shares at the previously agreed bargain price of 6 cent a share. 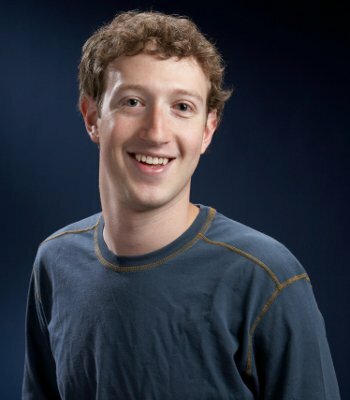 Paperwork for the imminent IPO reveals that Zuckerberg plans to purchase those 120 million shares, and then sell some in order to pay off the tax bill. Because the share options he has are seen as ordinary income he will have to pay tax on the difference between the purchase price of 6 cents a share, and the market value of them on the day he exercises them. The highest marginal tax rate in the US currently is 35 percent, coupled with the founder's home state of California also taking an additional 10.3 percent to its coffers from those earning $1 million or above per year. This means he will be required to pay 45.3 percent of the difference in stock value, estimated to be somewhere in the region of $1.5 billion to $2 billion. Facebook’s IPO filing currently values each share at $29.73. On those figures alone it would net Zuckerberg $3.6 billion. Most analysts expect the shares to fetch a much higher price when sold to the public though. Just last week a private market trade sold 100,000 of them at $40 a share. It could well be his last personal tax bill however, as he plans to pay himself just $1 a year salary as of next year, a move the board has also agreed to. The staggering tax bill alongside other stock related expenses for the company will see Facebook show a net operating loss for this financial year, qualifying the firm for a part refund which could run as high as $500 million of the taxes paid on its $1 billion profit last year.